You can’t go past this BIG4 park in Mackay for an action-packed, family-friendly holiday experience. The Mackay Marine Tourist Park has it all; a massive water play area for the kids, mini golf, a jumping pillow and a tyre maze. Van sites are spacious, powered and close to amenities, water and sullage. And the Mackay CBD is only 2km away. The nearby Bluewater Trail, which you can do by foot or bike, leads to the three-tiered Bluewater Lagoon, Mackay Regional Botanical Gardens and beautiful beaches. 45 minutes south of Adelaide, the Aldinga Beach Holiday Park is close to the bush and the beach. Sites are both powered and unpowered and near amenities. On site there is a swimming pool, jumping pillow, playground and basketball hoop. 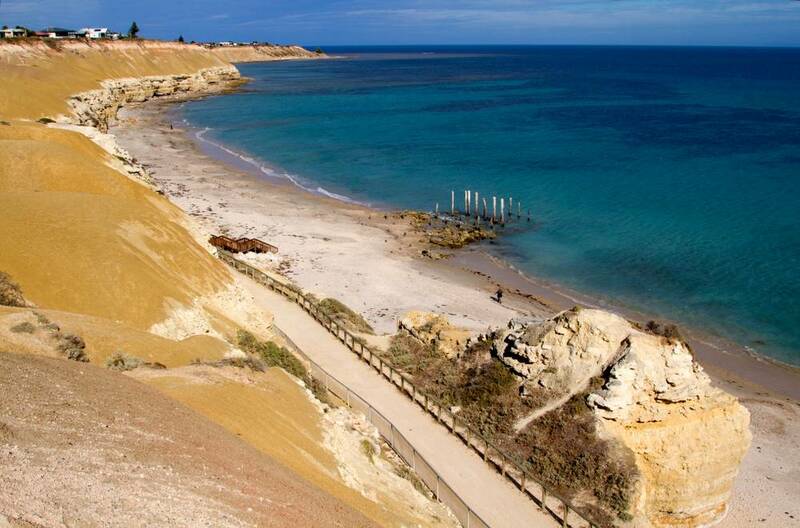 Nearby beaches include Aldinga, Port Willunga and Silver Sands. A short drive to Willunga and McLaren Vale offers a range of wineries, restaurants and markets. Dubbed the ‘Nicest Park in the Top End’ by the Lonely Planet Travel Guide, this place is surrounded by palm trees and tropical gardens. Caravan sites are powered and close to a new ensuite amenities block. Unwind at the saltwater pool and head over to the on-site restaurant at Eat Troppo for fresh local seafood. The park hosts free activities for all ages including Freshwater Croc feedings.